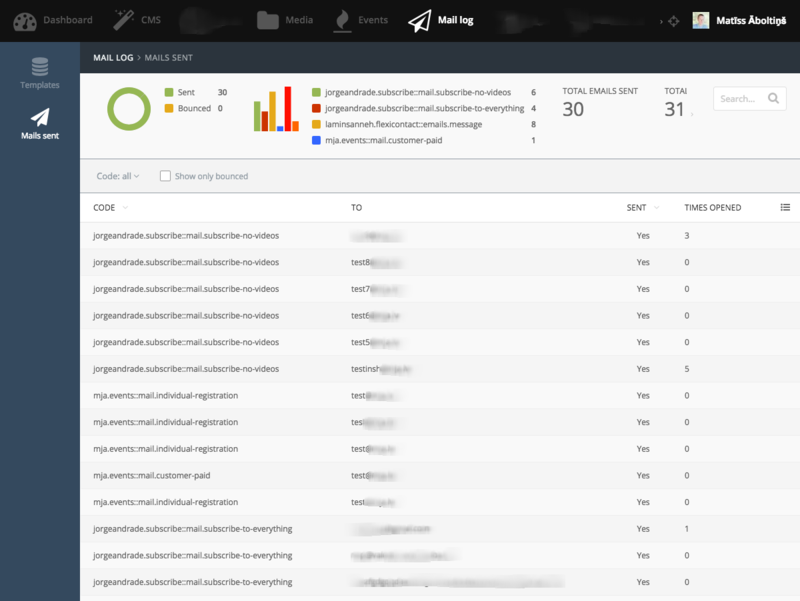 This plugin is used for easy outgoing mail logging and detailed statistics. May be used for blogs, news portal, newsletter, user registrations and other types of sites. Ultimately this plugin is just a addon that you may install and let it gather data. In case of emergency it will greatly help you to debug the outgoing emails. Once You have found the plugin, simply click on it and it will be installed. 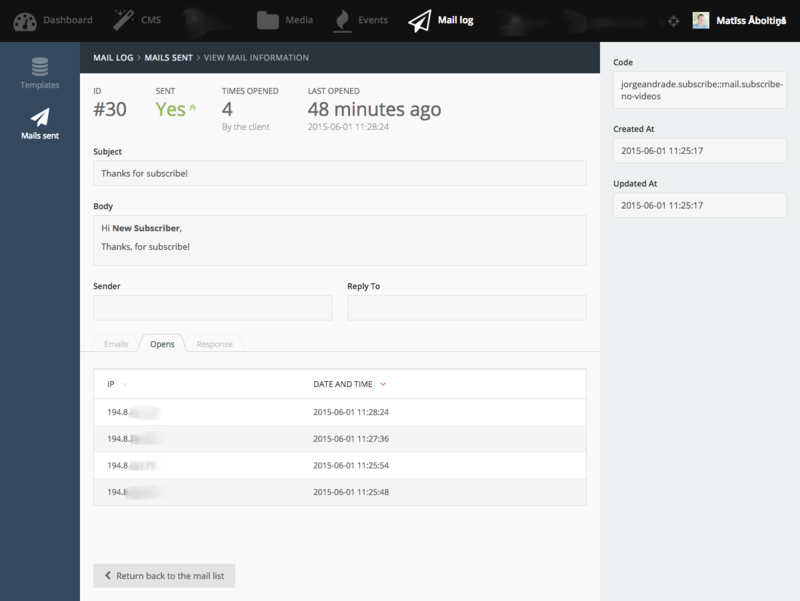 As soon as Mja.Mail plugin is installed it will be set up and start tracking the outgoing mails. It does so by using Laravel's events. As soon as email is beginning to go out it simply logs the data in database. An important thing to understand is that this plugin will append a transparent 1x1 PNG image to all of the outgoing email. This image is used to track email opens. Detailed statistics are available right out of the box. If You have enjoyed this plugin - please feel free to leave a positive review on the OctoberCMS plugin page or donate. Hi, This is great app but not worked! it's not log emails! Could You please elaborate? What kind of sendamil method are You using? Just saying that something doesn't work will not help fix the issue. This is great! Really appreciate you making this. So clean. Works as expected. 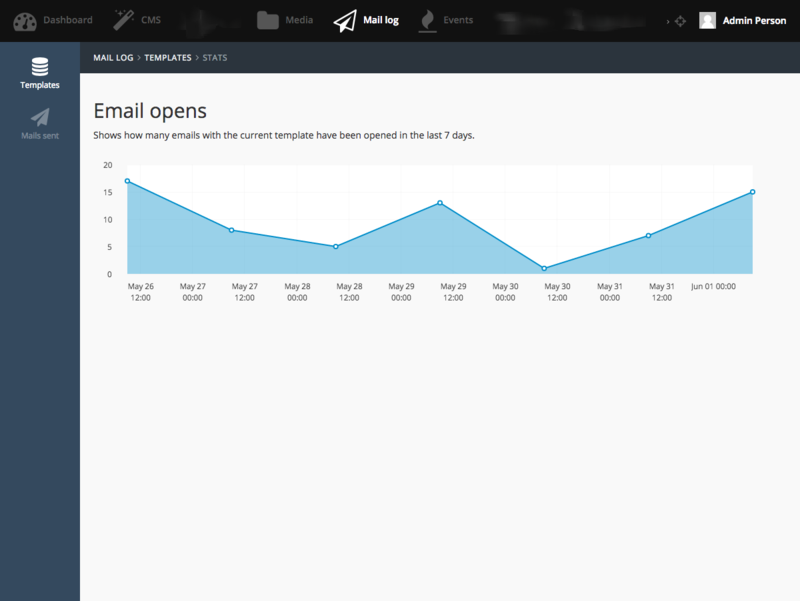 Add the ability to toggle email open logging via a switch in settings; fix template "open" graph. Fix code field max length - now only a max of 255 chars will be stored. Removed $response logging (version 420 of OctoberCMS does not support it); thanks @whsol. 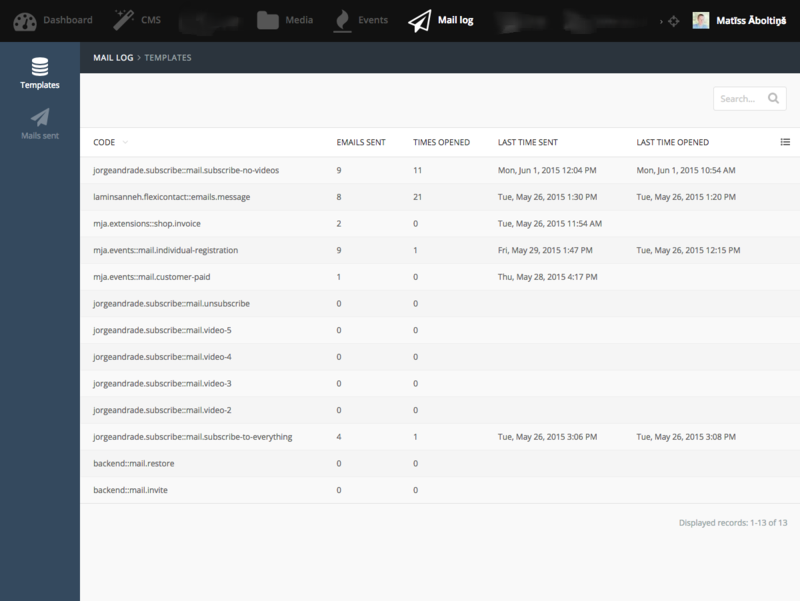 Fixed RAW emails breaking the mail list table. Major bugfix for emails sent with 3rd party provider. Fixed table creation query for newer MySQL versions.